The ECB's National Academy at Loughborough University opened for the 2003/04 intake in mid-October 2003, and was officially opened by Her Majesty The Queen on November 14. The inauguration of the state-of-the-art facility marked a major step forward for cricket in England and Wales. Renamed the National Cricket Performance Centre in June 2007, the NCPC is much more than just a training centre for the England Performance Programme players, however, as it provides an all-year-round facility to benefit cricket as a whole. The name change better reflects the scope of activities at the facility, which incorporates all England squads including men and women, disabled and age-groups. Plus it is a base for development, coaching and rehabilitation programmes. The philosophy is to identify and select the most talented cricketers, and develop them through excellent coaching and support services in outstanding facilities, in order for them to achieve their potential. Thus the ECB aims to produce England cricketers rather than cricketers who play for England. 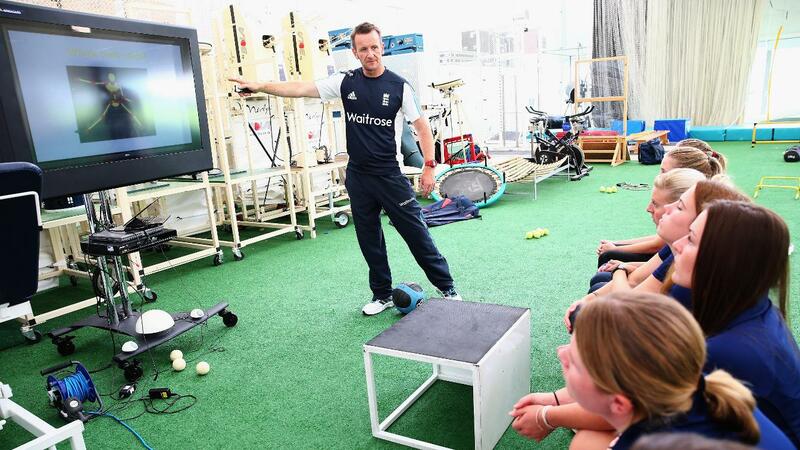 The Performance programme - under the guidance of the ECB's Performance Director - incorporates technical, tactical, mental, physical and lifestyle development. After more than a decade of planning, the 46-week build of the Loughborough facilities began in September 2002. The £4.5m construction of the indoor cricket centre has been universally welcomed, and become the cornerstone in the development of young cricketers and England's resurgence on the international scene. In partnership with Loughborough University, which offers a range of world-class training, medical and sports science facilities concentrated together on one site as part of the English Institute of Sport, our cricketers now have the benefit of training alongside many of the country's best athletes from a variety of other sports. The 70m x 30m hall at the NCPC includes six net lanes – with full run-ups and space for the wicketkeeper to stand back – in addition to the latest high-tech filming and analysis resources, including the Hawkeye tracking system. Aside from the main hall and its networked Performance Analysis Room, the NCPC offers a wide range of facilities. There is a fitness and rehabilitation centre, a changing room with a main recovery area including hot and cold spa baths, a fully equipped medical room and a further two changing rooms servicing the outdoor cricket ground. The NCPC also has an open-plan office and meeting room, while additional rooms include a Seminar Room, a Coach/Player Education Room and the Dining/Bar Area – which also offers large viewing balconies. The cricket centre overlooks Loughborough University’s main cricket ground, and ECB has access to this and a bank of grass nets. In addition, ECB has developed a bank of 18 grass nets for use by its elite performance squads. All ECB squads are accommodated in two recently developed houses which are joined by a new seminar pavilion, situated a short walk from the cricket centre. Each house has nine bedrooms, a relaxation area, a kitchen, dining area and laundry facilities.